Q. How should I sync up my digital inputs? 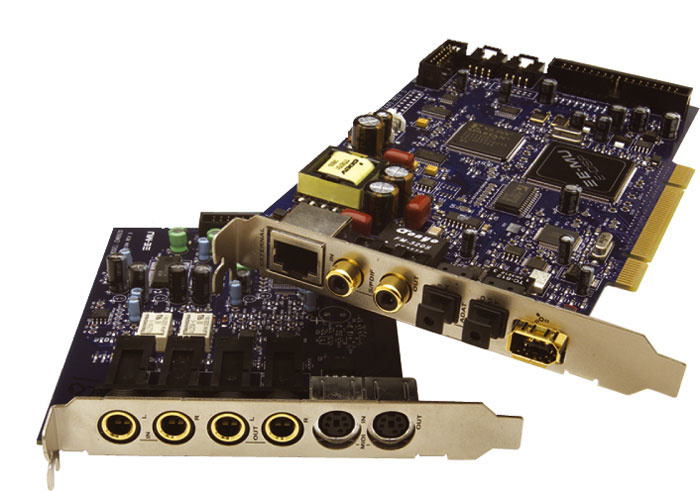 The Emu 1212M soundcard provides a range of sync'ing options. I want to sync the converters in the following system — is this possible? My Focusrite ISA428 is connected to my Emu 1212M soundcard via ADAT, and my SPL Channel One is connected via S/PDIF. If I sync the clock on the Emu to the SPL for example, will I then need the 1212M's sync board to send a Word Clock signal to the Focusrite ISA428? Technical Editor Hugh Robjohns replies: If you are planning to use all this gear at the same time, all three units must be in sync with each other. That means making the one with the most stable clock the system master, and then locking everything to that. The Emu card can obviously be made a slave synchronised to either the ADAT or the S/PDIF input, so that's easy. You could then use a Word Clock cable to couple the SPL and Focusrite, making either one the master and the other the slave, and setting the 1212M's sync source accordingly. That way, both the S/PDIF out of the SPL and the ADAT out of the Focusrite will be sync'ed to the same clock, and everything will work happily.